2012 Winning Patents Workshops Now Open for Registration and Updated Based on Impacts of the AIA! PRG’s Winning Patents Workshop provides a strong foundation for entry-level practitioners with up to two years of experience. The Workshop teaches the skills necessary to produce better patent applications in the current world of patent case law. Like every other aspect of patent law, drafting patent applications has been impacted by the passage of the America Invents Act of 2011 (AIA). We have already updated the Winning Patents Workshop for 2012 so that it not only reflects the latest case law, but also reflects changes introduced by the AIA. Don’t miss this opportunity to learn from the pros who know how to win at the Federal Circuit! Upcoming Patent Bar Review Courses Across the US! The PRG Patent Bar Review Course will be held in San Francisco, CA from Nov. 5-9, 2012. If you register for either the Classroom Course or Online Video Course, you get free access to ExamWareTM, our highly-acclaimed patent exam preparation software – now online to more easily facilitate your “real-life” exam preparation. Learn more about the Classroom Course, Online Video Course, and ExamWareTM by visiting this page on the PRG website! Next Bar Review Course is May 7-11 in Chicago! We know how easy it is to procrastinate, especially when your work life is keeping you busy. But you can’t wait any longer to sign up for PRG’s next Bar Review Course! Register today and join us in Chicago on May 7-11. We are offering an amazing room rate of $189 per night at the downtown Four Points by Sheraton (compared to the going rate of $270 per night). But we can only guarantee the availability of rooms at this rate through Monday, April 23! Don’t miss out on this chance to take our industry-leading Bar Review Course and begin your efforts to prepare for the USPTO registration exam. We have already updated our course to reflect the latest changes to the registration exam, based on the new source materials announced by the USPTO earlier this year. Patent Administration: A Foundation for Success is a complete and thorough 3-day certificate program designed to provide patent paralegals, secretaries, and administrators with a firm understanding of the fundamentals of patent law, as well as practical tips and advice that can be applied on a day-to-day basis to save time and ensure success. 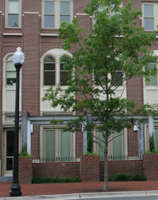 PRG Training Center in Alexandria, VA.
Hotel Deadline For May Patent Bar Review Course is Monday, April 16! We have already updated both our classroom and video courses to reflect the latest changes to the registration exam, based on the new source materials announced by the USPTO earlier this year. These changes, some of which are due to the impact of the America Invents Act (AIA), impact questions relating to Prioritized Examination, Change of Standard for Inter Partes Reexamination, and Appeals Practice. We will continue to update our course as additional AIA requirements become effective and are incorporated into the exam. 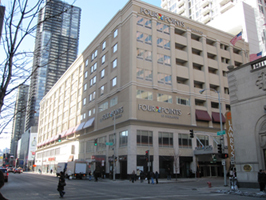 Four Points by Sheraton Chicago - May Patent Bar Review location. Our online video course is always available — whenever and wherever you are ready to take it. And whether you take our classroom course or purchase the video course, you’ll benefit from access to the web-based version of ExamWareTM, our highly-acclaimed patent exam preparation software. Question: I am a US citizen living overseas, and I am currently working for an overseas law firm training as a US patent agent. Taking the patent bar will require me to physically fly to the US to take the exam after taking a prep course. In such a case, what are your suggestions as to studying for the USPTO bar exam while working full time abroad? Response from PRG Director Brad Buehler: Living abroad while preparing for the USPTO Registration Examination will add another wrinkle to a challenging test. However, with proper planning, you will be able to minimize the impact of having to factor travel arrangements for the examination into your schedule. Here are some tips on how to effectively manage your schedule. Read all of Brad’s tips for living abroad while studying for and scheduling the US Patent Bar Exam in the new blog post! Q: Do any of the Bar Review Course study materials have to be returned to PRG? A: No, all printed instructional materials are yours to keep. Q: If I attend a Classroom Bar Review Course, is it necessary to bring all the materials I was shipped with me? A: No. Approximately 1-2 weeks prior to your Course, you will receive information via e-mail that details the materials you should bring with you to the Course. Q: How are updates to your Bar Review materials handled? A: If there are revisions to our materials, we will provide them to you free of charge for up to 12 months after your initial purchase. After that point, you may have to incur an additional cost to keep your materials current. Q: What is your Bar Review Course return policy? A: You have 15 days from receipt of your materials to notify our office that you wish to return your order. Q: This FAQ didn’t address my questions, what should I do? A: Please contact our office via telephone: (703) 682-4860 or email: registrar@patentresources.com, and ask to speak with a registrar who will be more than happy to answer any additional questions. Do you have any more questions about the Patent Bar Exam, Patent Bar Review Course, or other PRG courses? Give us a call, send us an email, or leave us a question in the comments section!